Looking to reduce your energy bills and improve the efficiency of your central heating system? At Heating Centre We supply and fit high efficiency boilers from Worcester Bosch and Viessmann. We offer full central heating systems or combination boilers to suit your home at affordable prices. High Efficiency condensing boilers are by far the most efficient and economical type of boiler you can buy. The advanced new Worcester Greenstar range is officially rated among the most efficient of all. The Worcester Greenstar or Viessmann boilers can reduce your gas bills by up to 30% with their high efficiency. 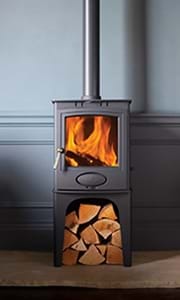 They are kinder to the environment and with a wide range of models available we can help you find the perfect central heating system for your home. With up to 15 years full parts and labour warranty too, contact us now to enquire about our central heating and boiler installation and servicing.